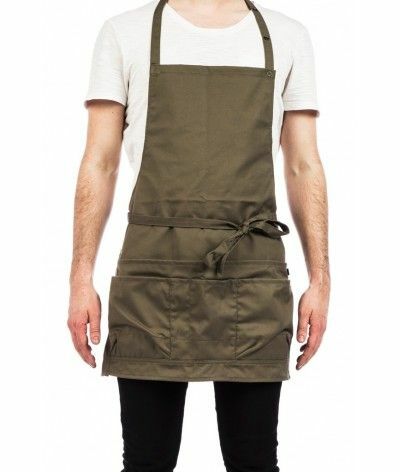 The essential kitchen apron to stay clean and protect your professional clothes from stains and other splashes. 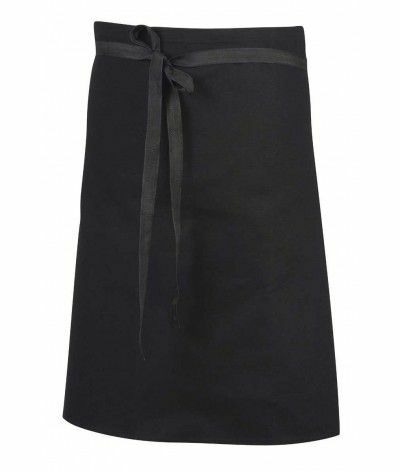 This apron ensures complete protection with its bib and its length of 100 cm, its fabric in cotton resists to very many washes.You will not be able to do without it! 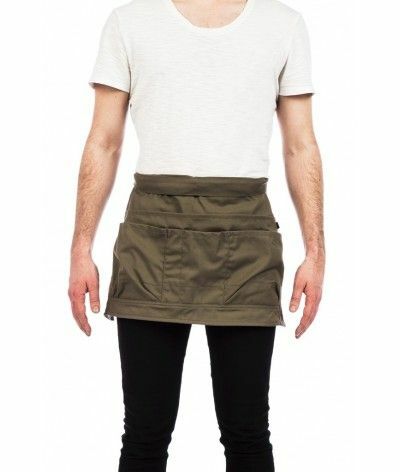 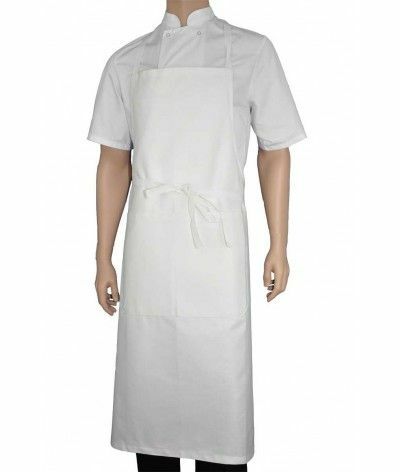 Genuine apron of chef cook cotton, this apron is also used by servers in brewery, it will protect you down the legs thanks to its length. 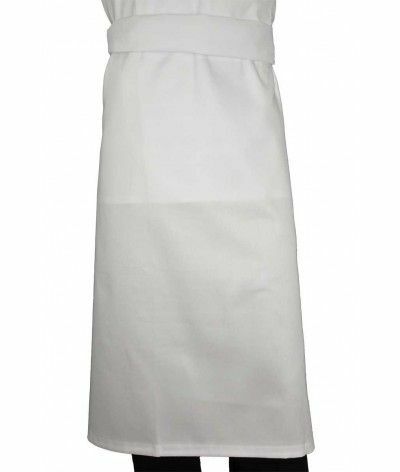 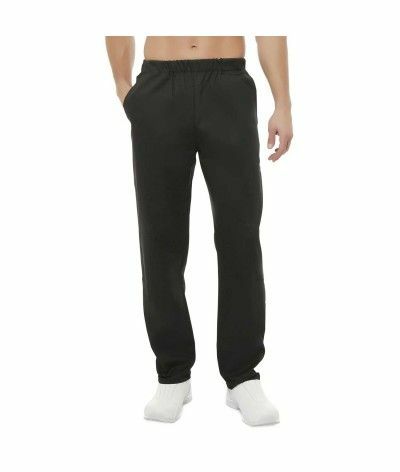 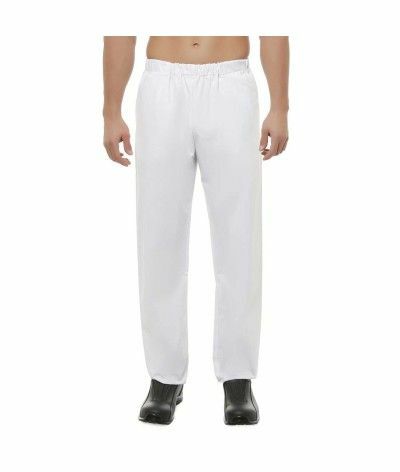 Recommended by our clients, kitchen pants will seduce you with its quality than its low price, its elastic strap is very comfortable and it is very easy to maintain, even white. 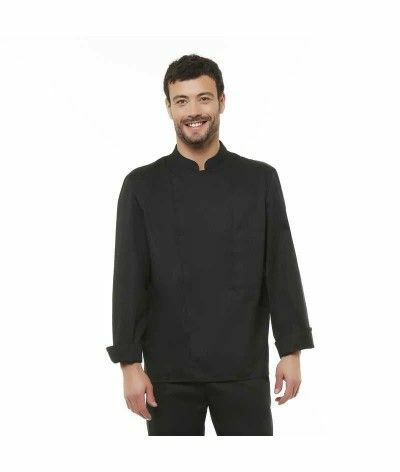 This short-sleeved black jacket kitchen is simply the best-selling model in our store thanks to its excellent value for money, little more is the pen pocket on the left sleeve. 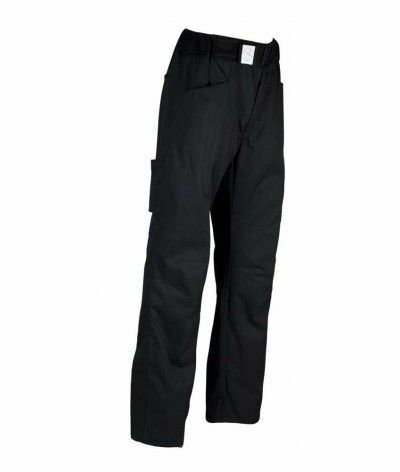 See the opinions below. 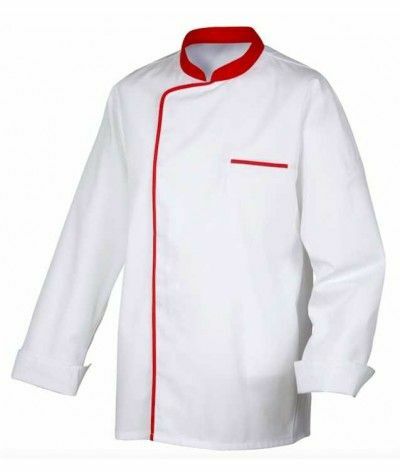 Long sleeve white cooking jacket. 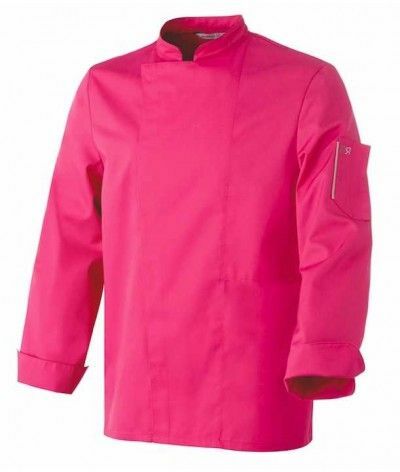 This jacket is designed for both men and women. 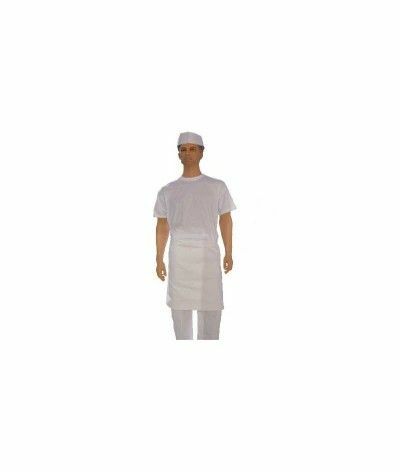 You will like its closure by 5 press studs white cap, its inside pocket and its pen pocket on the left sleeve. 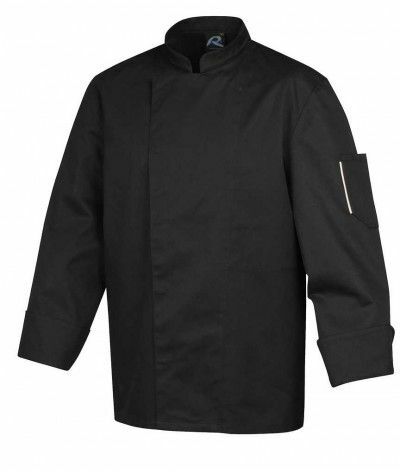 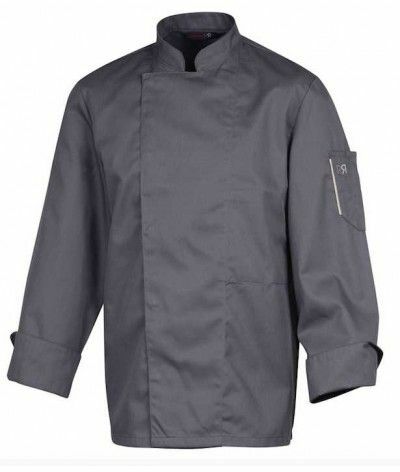 Black kitchen jacket with long sleeves, chef jacket. 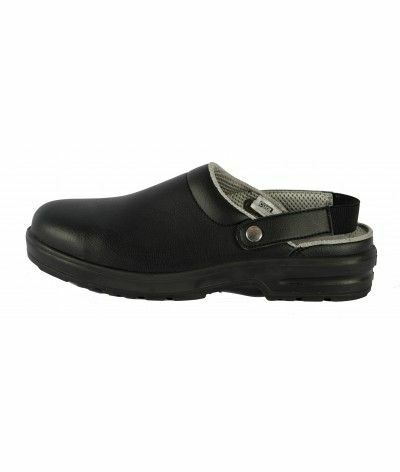 Comfortable and practical with snap closure and multi pockets. 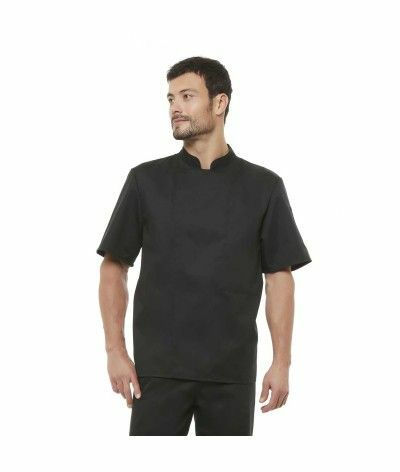 This kitchen pants ROBUR is a real innovation for cooks with an adjustable belt with Velcro sponge, it ensures greater comfort throughout your day travail.C'est a sought trousers by culinary professionals. 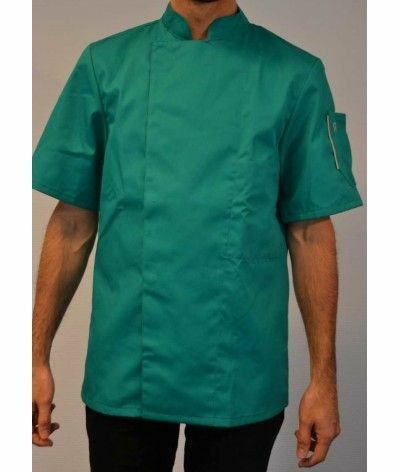 Calzone The jacket was designed by Monsieur-veste.fr for pizza chefs wishing to display the colors of the country of origin of pizzas on their professional clothing. 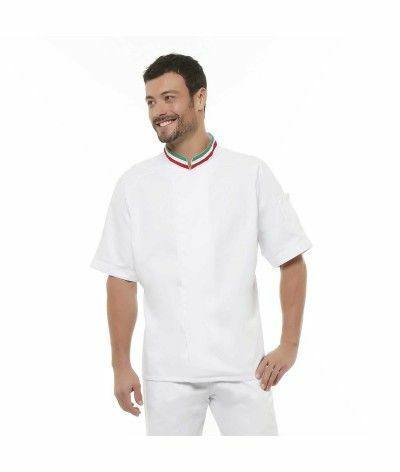 This white short sleeved jacket is ideal for working in pizzeria. 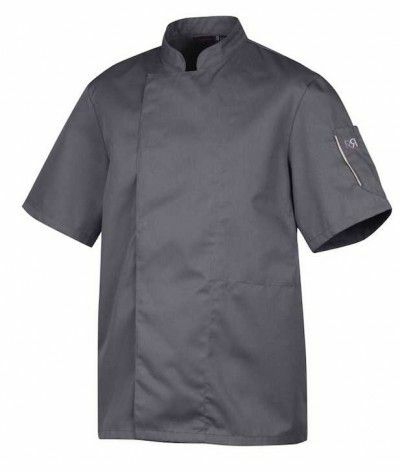 mark black kitchen apron ROBUR model Phoenix.Très resistant, it will take you a long time in your kitchens and protect your clothes from all oil projections or other grasses.Ce patissier apron material is washable at 90 °. 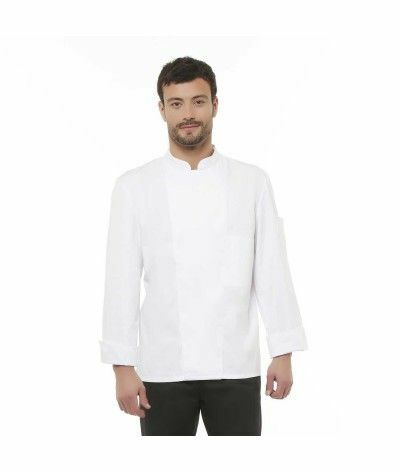 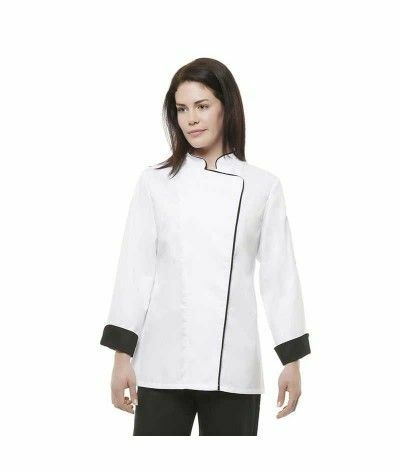 Short sleeve white cooking jacket made by ROBUR, Soft and comfortable fabric, this cookie jacket has an inside pocket and a pen pocket on the left sleeve, convenient closure with concealed snaps. 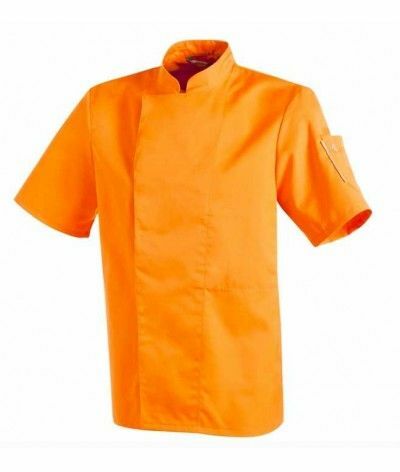 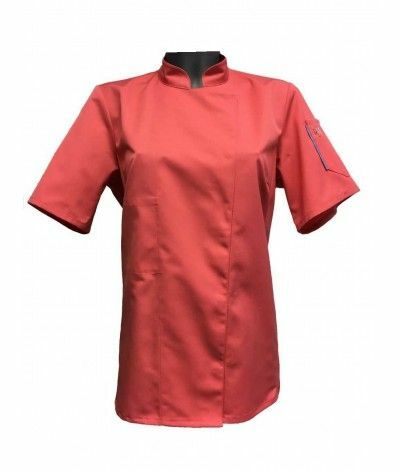 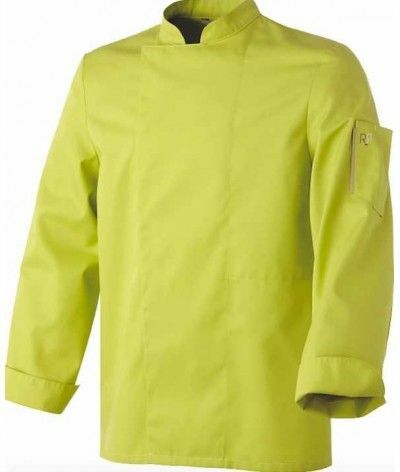 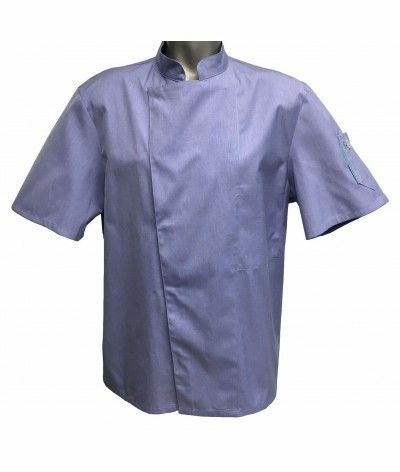 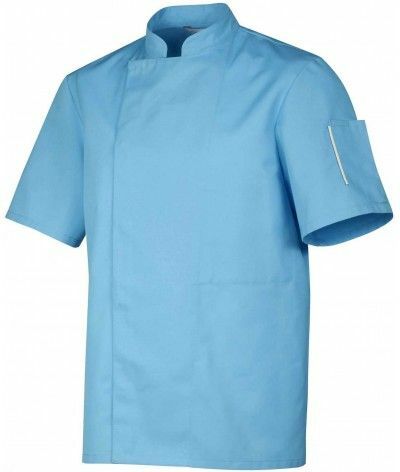 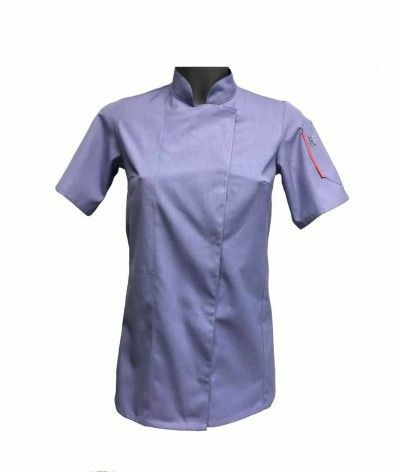 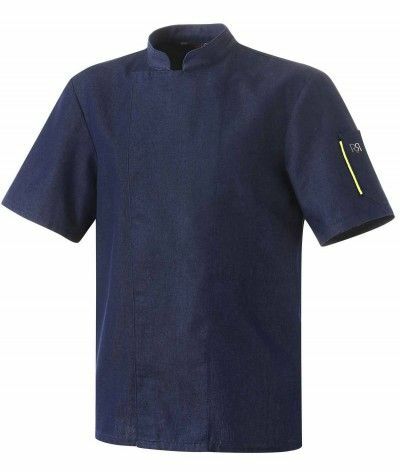 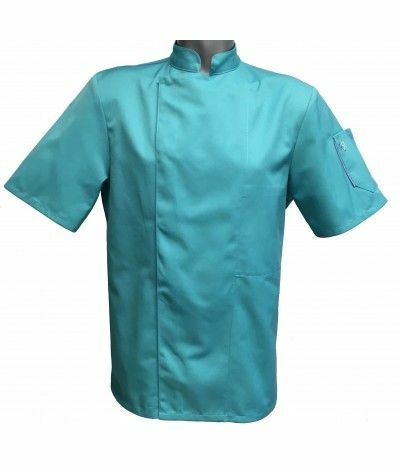 ROBUR short sleeve cooking jacket, denim fabric, pen pocket on the left sleeve and fluo trim, this cooking jacket is very light and offers you an appreciable ease to exercise your profession of cook. 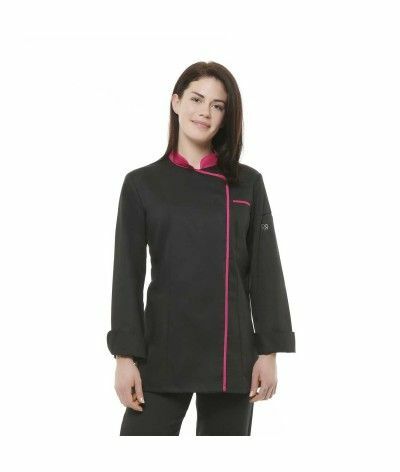 Mixed black jacket kitchen long sleeve manufacturing ROBUR. 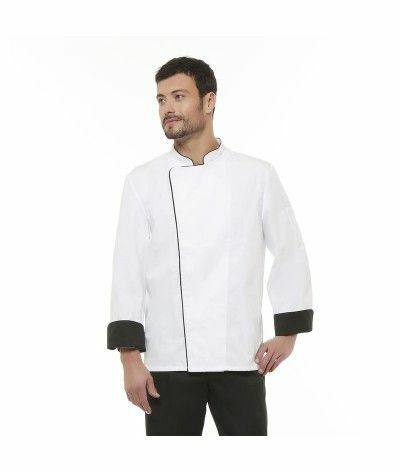 This very economic prices jacket will seduce you with its closure and snaps his inside pocket side heart. 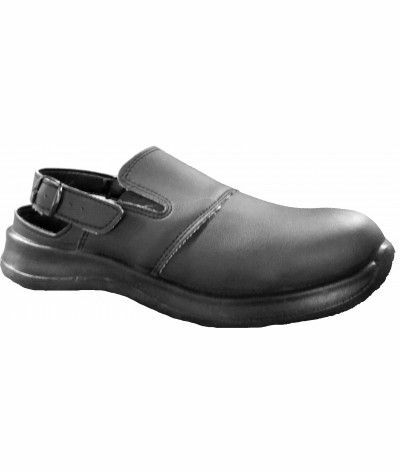 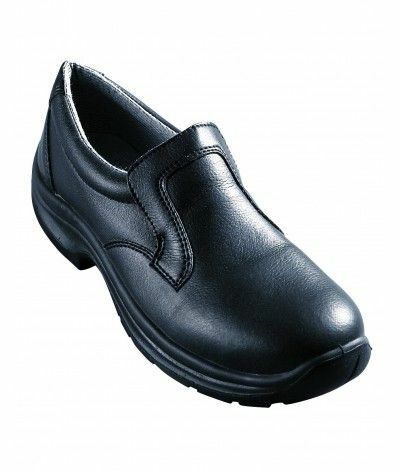 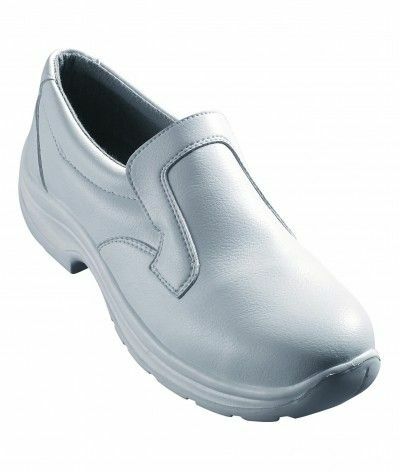 Comfortable and convenient, discover there at low prices. 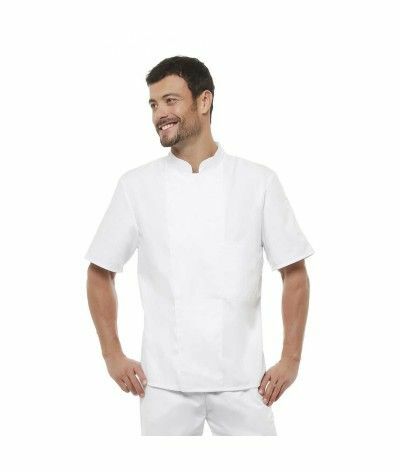 White coat jacket with short sleeves, very comfortable thanks to its breathable mesh fabric on the side. 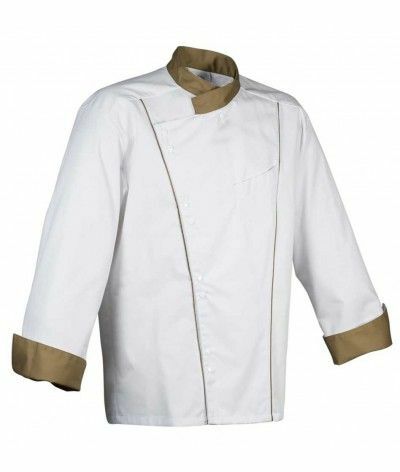 Lightweight, contemporary design, it is the jacket that must be worn to be at ease in the kitchen. 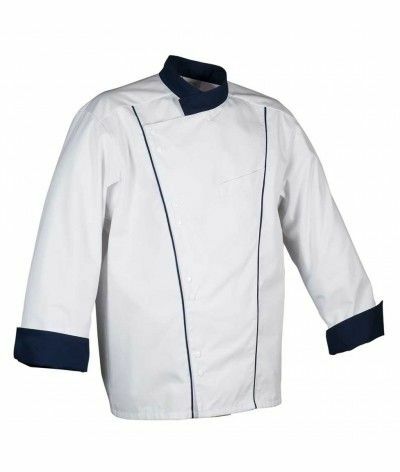 Jacket white kitchen with Navy facing, with long sleeves. 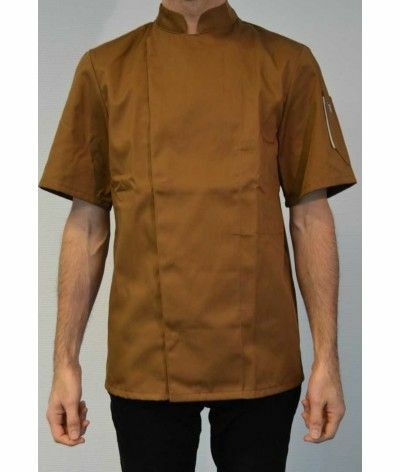 His collar and closing bysnaps brings him comfort you enjoy. 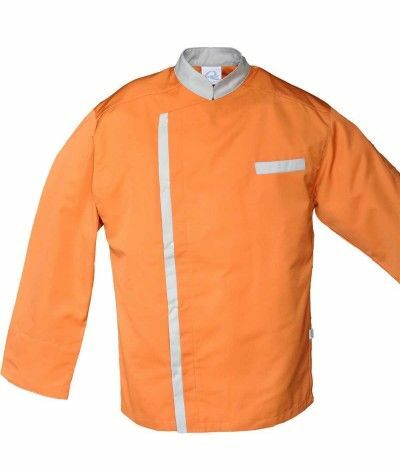 This jacket is offered at an economical price. 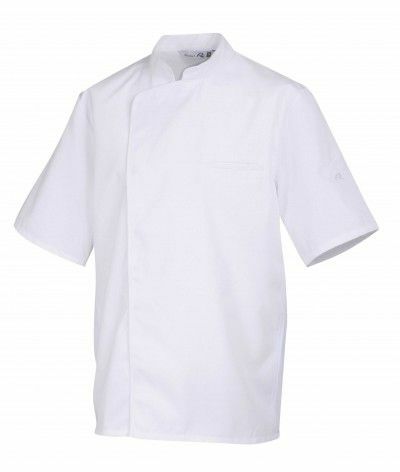 Facing : hazel 65% polyester and 35% cotton White Long sleeves - Officer colered collar and colored cuffs - Colored border along the plastron - Chest pocket - Colored collar - Closure by small snaps covered with white caps. 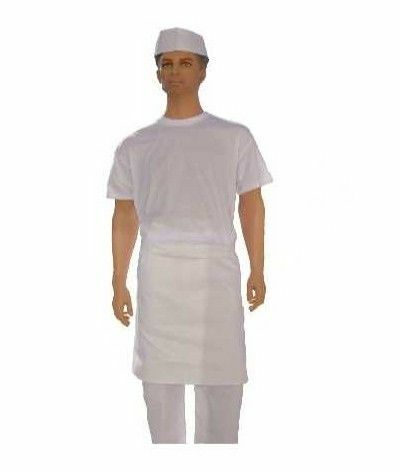 You are enrolled in the training CAP Patisserie of the school of pros, distance training, order your professional outfit composed of a jacket of white long sleeve patissier, pants, a pair of shoes Arizona or Quintanar white , 5 non-woven toques, 1 half head apron, 6 tea towels and 10 disposable plastic bib aprons. 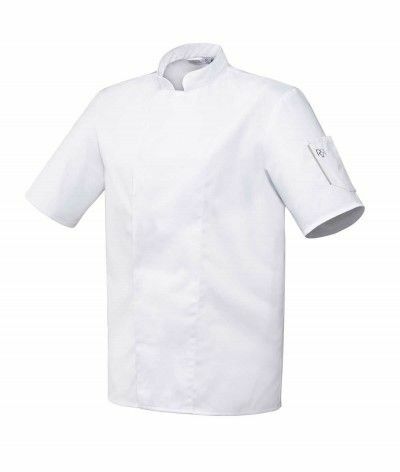 Pack étudiant formule "Tout pour l'Examen"
You are enrolled in the CAP training program of the Ecole des pros, order your professional outfit made up of a coat jacket, trousers, a pair of white shoes, 5 non-woven toques, 1 half-head apron, 1 neckband and 6 tea towels.